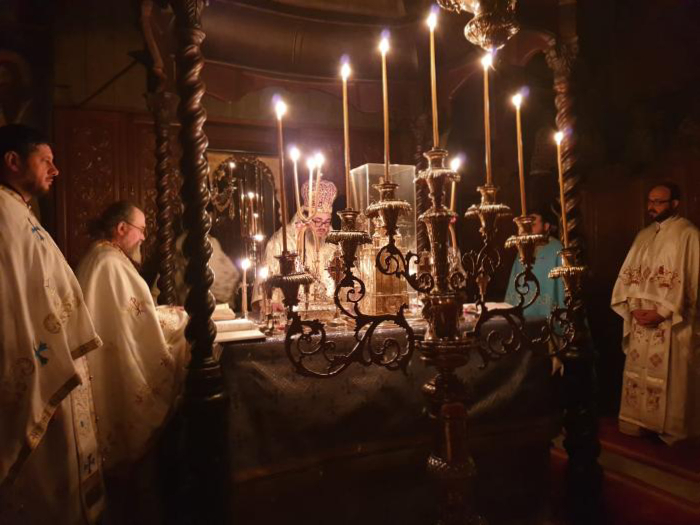 His Grace Bishop Ambrozie of Giurgiu celebrated the All-night vigil and the Divine Liturgy at the Romanian Skete of the Honourable Forerunner on Mount Athos on the feast of the Annunciation according to the Julian unrevised calendar. 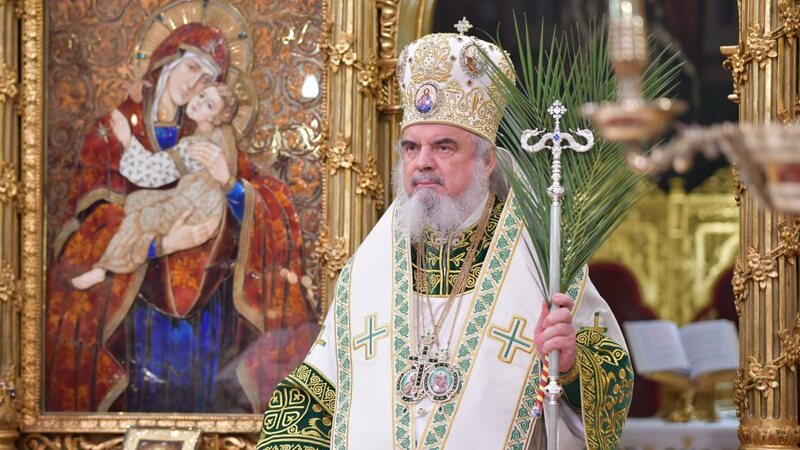 In his homily, the bishop spoke about the spiritual beauty of monastic life, stressing the feats of monks on Holy Mount Athos. His Grace referred to the Annunciation as an important Christian feast day, and pointed to the fruits of the work of the Mother of God on Mount Athos. 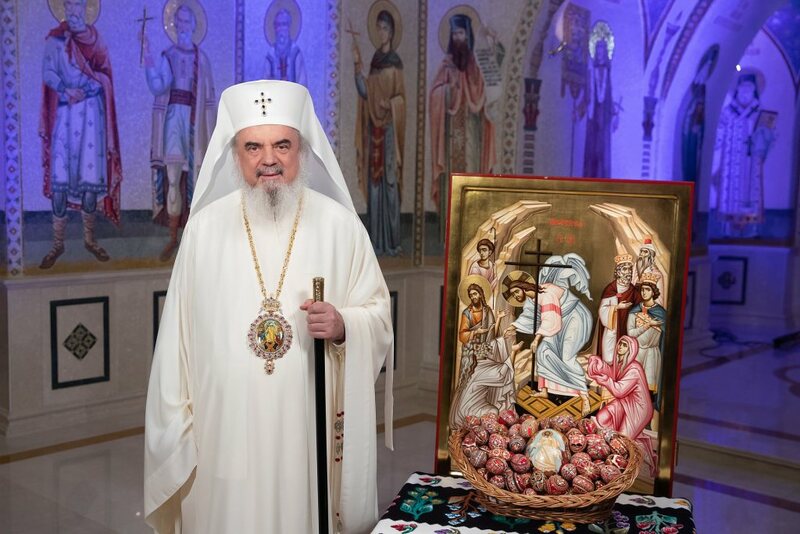 At the end of the service, Elder Athanasios Prodromites was presented with a priestly vestment made at the Romanian Patriarchate’s Workshops. 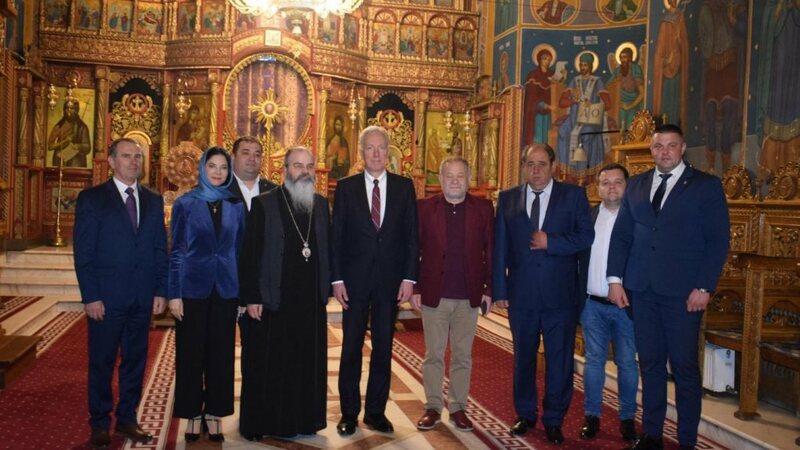 On April 7, the Bishop of Giurgiu and his delegation visited the three chapels of the Prodromos Skete and received the blessing of elder Julian Prodromites. The Holy Skete of the Honourable Forerunner or Prodromos Skete was founded in 1820, during the stewardship of Metropolitan Veniamin Costachi of Moldavia. The establishment of the Skete was officially recognized by the princely chrysobulls signed by Prince Grigorie Alexandru Chica of Moldavia on July 7, 1853, and King Carol I of Romania on July 19, 1871. One of the important founders of the hermitage was hieroschemamonk Nifon Ionescu. 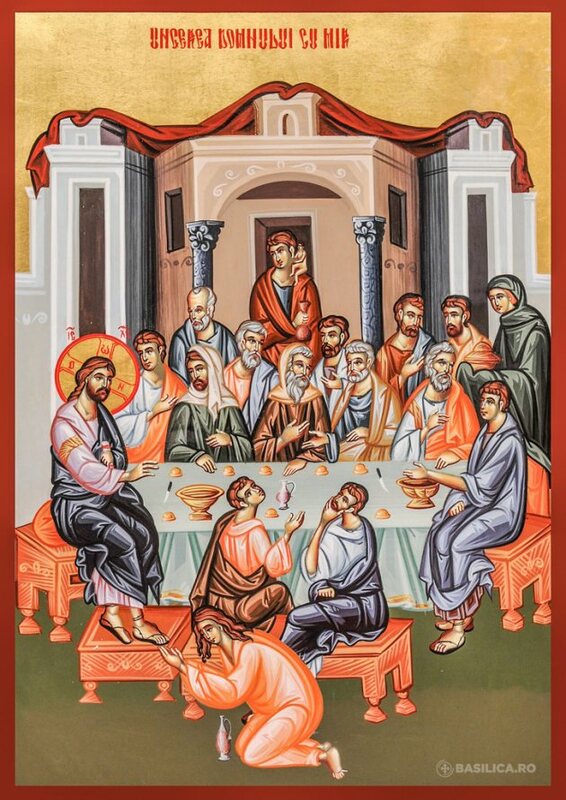 The skete is renowned for sheltering the wonderworking icon of the Mother of God called Prodromitissa or the Forerunneress, whose feast is celebrated on July 12.